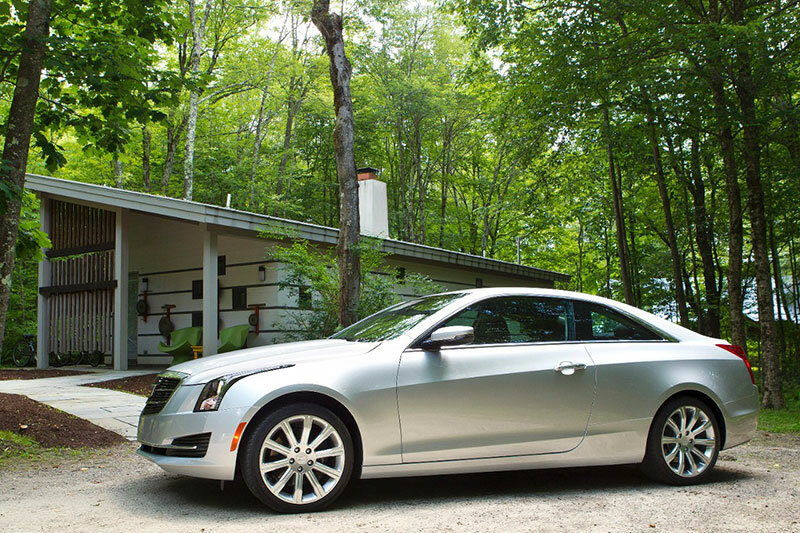 Greater torque output in the 2015 ATS Coupe and ATS Sedan equipped with the 2.0L turbo four-cylinder engine, and available safety-enhancing lane-changing and lane-keeping technologies, highlight the new model year for the luxury sport models. The additional torque – 295 lb-ft of torque (400 Nm) and 272 horsepower (203 kW) – was achieved through engine calibration that results in increased boost pressure for improved performance over the class-competitive torque level available at the launch of the ATS Sedan. At 136hp/L, the 2.0L Turbo is one of the most power-dense engines in the industry. It also delivers 90 percent of its peak torque from 2100 rpm to 3000 rpm and the full 295 lb-ft of peak torque (400 Nm) from 3000 to 4600 rpm. The broad torque band is supported by high boost levels in the speed range, which is designed to give the lightweight ATS Coupe a feeling of immediate power on demand. The 2015 ATS also offer Lane Change Alert and Lane Keep Assist. Lane Change Alert works in tandem with the available Side Blind Zone alert to warn drivers of rapidly approaching vehicles, looking approximately 82 feet (25 meters) from the side mirror. Drivers are warned that it may not be safe to change lanes with a flashing symbol in the side mirror, depending on which turn signal has been activated. The Lane Keep Assist system operates above 37 mph, using a forward-facing camera that detects if the vehicle leaves the lane unintentionally. When detected, the system engages the electric power steering to give a momentary nudge and prevent crossing the lane markings, aligning the vehicle in the lane. Lane Change Alert and Lane Keep Assist are available on both the 2015 ATS Coupe and Sedan Performance and Premium Collection equipped with the Driver Assist Package; Lane Change Alert is also available on Luxury, Performance and Premium Collection ATS vehicles with the Driver Awareness Package.